summer of that year large scale excavations began. Almost immediately after Osmanagic started his project the authenticity of his miraculous find was to be called into question. Zahi Hawass, archaeologist and later becoming “Egyptian Minister of Antiquities,” released a statement in June of 2006 in which he strongly criticised Osmanagic and his Pyramid hypothesis. Giving his reasons, Hawass referred to several large blocks that had been excavated by the research teams, explaining that “No one can say that these stones were transported by human beings since each weighs approximately 40 tons.” Hawass’s explanation for the blocks and the pyramid shaped hill was to be that Osmanagic must be “hallucinating” , denying the existence of any pyramids in Bosnia. Dr Robert Schoch, a geologist of notoriety for his study of the Egyptian Sphinx, also issued a disagreeable statement after he visited the Bosnian Valley of the Pyramids that year. In his comments of the trip, Schoch said he saw nothing unusual in the hills around the Bosnian town. In a similar fashion to that of Hawass, Schoch’s sentiment towards Osmanagic’s theory was that the Pyramids must be “imaginary” and that the pyramids are nothing more than natural geological formations. Later, at the end of the first year of excavations, in December 2006, seven prominent members of the European Association of Archaeologists issued a condemning joint statement. 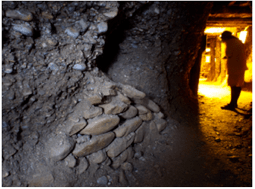 The archaeologists, including Director of the Council for British Archaeology, Dr. Mike Heyworth and another, Professor Hermann Parzinger, President of the German Archaeological Institute, accused Osmanagic of duping the world with his claims of pyramids in Bosnia. In their statement it read, “This [Pyramid] scheme is a cruel hoax on an unsuspecting public and has no place in the world of genuine science.”. However, despite the barrage of strong condemnation Osmanagic and his team have continued investigating the sites around Visoko for a further eight years. 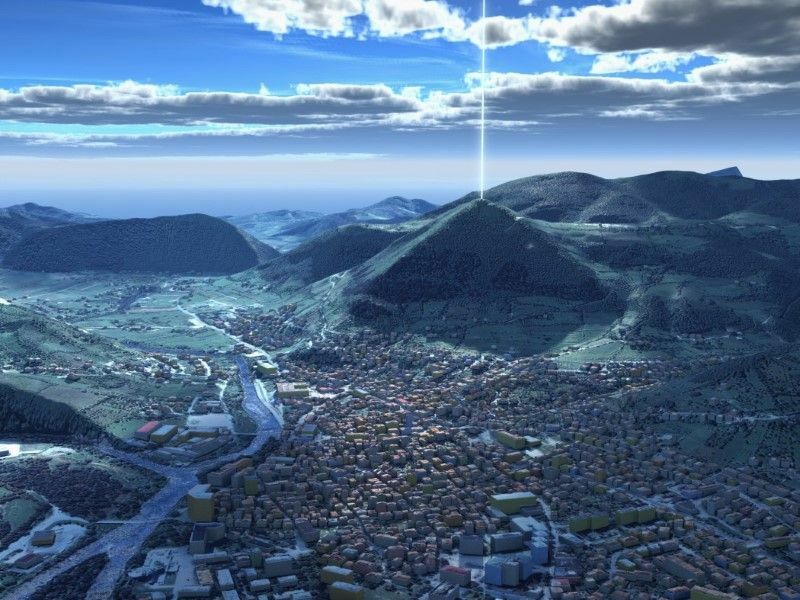 Because of the shear size of the site, as it stands today the meticulous work undertaken by Dr Semir Osmanagic has resulted in less than 1% of the Pyramidal structures to have been so far uncovered, leaving much of the evidence which would support Osmanagic‟s theory still buried beneath the soil. With limited financial backing from the local Bosnian government, Osmanagic relies substantially on an international team of volunteers which make their way to Visoko each summer to assist with the excavations. Since 2010, hundreds of inquisitive people from as far away as Peru, Argentina, Malaysia and Australia have made the journey to donate their time and efforts to the project, with people in their hundreds of thousands also visiting as tourists to see the progress of the project for themselves. But can all of these people, like Osmanagic, be suffering from a shared delusion, mistaking naturally formed hills for giant pyramids? Surely after eight years, if the case against Osmanagic’s theory were so strong, shouldn’t this hoax have been laid to rest by now? Perhaps. Or perhaps not, as the majority of those who criticise the project rather than providing sound scientific evidence supporting their position unfortunately resort to the age old tactic of character assassination, targeting the qualities of the man rather than the factual evidence Osmanagic presents. On the other side of the argument then, what, if any, is the evidence that supports Osmanagic’s so-called outlandish claims? Is Osmanagic really suffering from an eight year prolonged hallucination or can he substantiate his history changing theory with factual evidence? Rosicrucian ideogram (Figure 5) the circle is replaced by Nehushstan the serpent, seen swallowing its own tail and representing Earthly creation made manifest, with the power of perpetual motion and self sufficiency. further afield from the centre of the map. Over on the Moon Pyramid, photos 17, 18 are taken from an excavation site called “Sonda 20″ which is situated approximately 1/3rd of the way up the Moon Pyramids Western face (photo 24, 25). What was revealed by the works undertaken in 2011 were carefully placed, engineered stone blocks interbedded with clean marls, running along a North-South axis. Every block is different in shape and interlocks with its neighbour as a jigsaw. The obvious difference here between the Pyramid of the Sun and the Moon is that the former has its outer layers composed of massive and extensive concrete blocks whereas the latter appears to be built with much more finesse, making use of predominantly softer, finer and more delicate materials within its outer layers. Each shaped slab (left) is rich in SiO2, CaO & MgO and could be classified generally in geological terms as being a fine grained carbonitic sandstone, however they are in fact of a composite design consisting of several different components each with subtle chemical and grain size variances. The outer blocks exposed at “Sonda 20″ consist of a central core, light grey in colour, constituting the majority of the bocks mass. The core has placed on its upper surface a thin, soft, finer grained “plate” which is best identified in the two lower images, above. The tapering of the plates edges can be identified most clearly in the lower left image of photo 17, towards the left hand corner of the central block. Laterally, each block is surrounded by a soft, less dense amorphous carbonitic material which has a darker brown colouration to it and is found adhering to all four sides of each block. Where no displacement has occurred, the material appears to be functioning as a sealant and binding agent, holding the blocks together as a grout. The two lower images of photo 17 display the grout and how it has in places become eroded away over time, leaving the central core visible along its sides. As is the case with the Sun Pyramids concrete, the sudden horizontal change in composition from grout to core to grout on every individual block is not a depositional process nature has within its inventory.